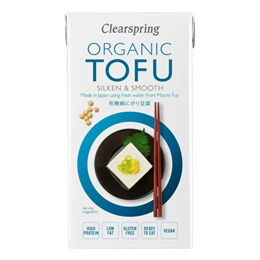 Silky soft and smooth, Clearspring Organic Tofu is a low fat soya food, great for everyday use and rich in vegetable protein. Ready to eat straight out of the pack or can be used as a substitute for eggs, dairy and meat in your favourite recipes, both savoury and sweet. Water, soya beans* (26%), firming agent: nigari (magnesium chloride). Ready to eat straight out of the pack or can be used as a substitute for eggs, dairy and meat in your favourite recipes, both savoury and sweet. Drain before use. 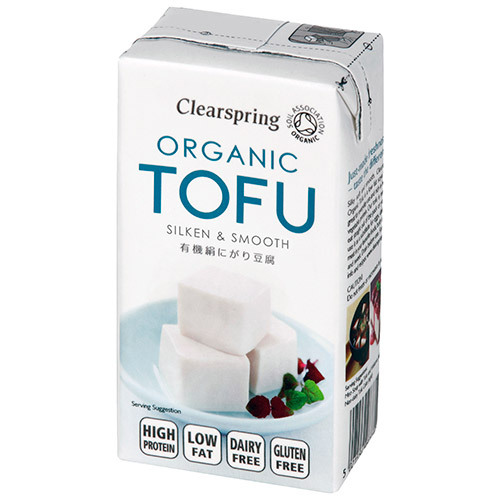 Below are reviews of Clearspring Organic Tofu - 300g by bodykind customers. If you have tried this product we'd love to hear what you think so please leave a review.